Announcing Guelph Comedy Festival 2018 Schedule and Lineup! 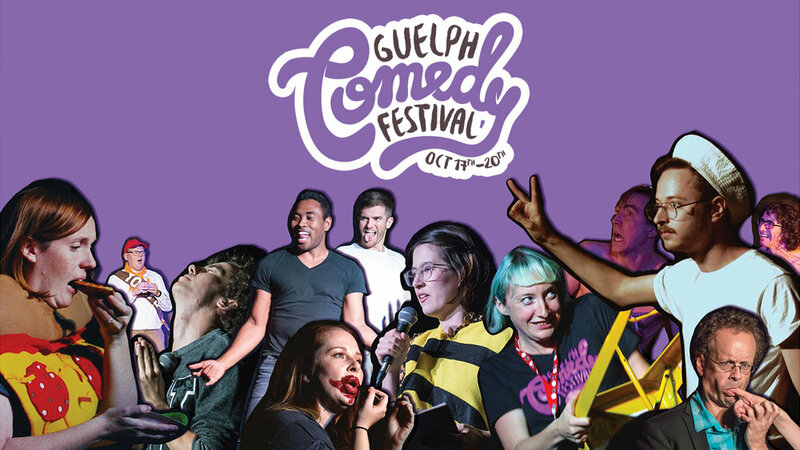 Guelph’s funniest festival is back for it’s sixth year this October 17-20. A new show every night culminating in one huge downtown comedy celebration. It’s gunna be bigger, better, and possibly wetter than ever before. Thank You For Another Amazing Guelph Comedy Festival! The 2017 Guelph Comedy Festival was a smash success. Sold out shows across the board and some of the best improv, sketch and stand-up comedy we've ever seen! See the photos from this year, and get excited for next. With all the comedy craziness going on in Downtown Guelph next Saturday, we thought you might appreciate our best tips for making the most of your 2017 Guelph Comedy Festival.